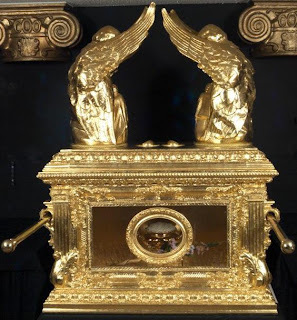 3-D Monster: Top Ten Real-Life Mysteries! Fossils, as we learned in grade school, appear in rocks that were formed many thousands of years ago. Yet there are a number of fossils that just don’t make geological or historical sense. A fossil of a human hand print for example, was found in limestone estimated to be 110 million years old. 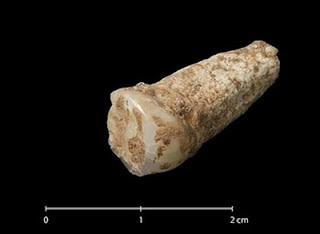 What appears to be a fossilized human finger found in the Canadian Arctic also dates back 100 to 110 million years ago. And what appears to be the fossil of a human footprint, possibly wearing a sandal, was found near Delta, Utah in a shale deposit estimated to be 300 million to 600 million years old. 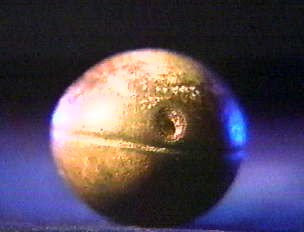 Over the last few decades, miners in South Africa have been digging up mysterious metal spheres. 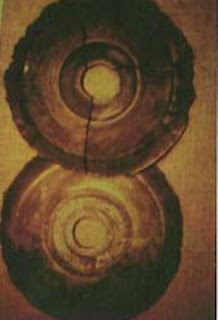 Origin unknown, these spheres measure approximately an inch or so in diameter, and some are etched with three parallel grooves running around the equator. Two types of spheres have been found: one is composed of a solid bluishmetal with flecks of white; the other is hollowed out and filled with a spongy white substance. The kicker is that the rock in which they where found is Precambrian – and dated to 2.8 billion years old! Who made them and for what purpose is unknown. Listverse has a great list of 10 of the most famous unsolved mysteries in the world, and it's a great read as I'm a sucker for a mystery/conspiracy story! Read the entire list here.